I love passing knowledge and answering questions, no matter if its a big audience or “just” in a 1:1 coaching / mentoring session. Over the years I have been speaking at small barcamps as well as at big international events like SXSW, Blogworld and Blogher. Being a published author in Germany also garners a lot of interviews from traditional media. My core topic is tactics and digital craftsmanship = how to do things well and efficiently. From setting up internal structures to training on the ground and mentorship, just ask. Core topics are of course Twitter, Pinterest, Google Plus, Facebook Fan Pages, using Facebook as well as Microblogging and Twitter for Business and Organisations. I do not mind travelling, as you can see from my list it is mainly Europe and the US. I am fluent in English with German being my native language. If you are interested, you can contact me through several ways. Politik 2.0 – Mehr Bürgerbeteiligung dank Internet? 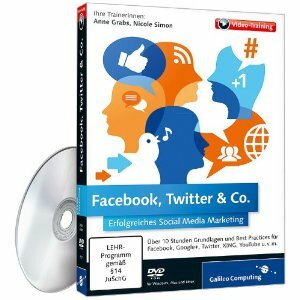 Alles gesagt in 140 Zeichen – Microblogging, Nähkästchenplauderei oder ernsthafte Kommunikatinsplattform? * Where Do Your Visitors Come From & What Do They Do on Your Site? Chairing the panel on “Business Podcasting”. Why you should foster an international audience. Several Barcamp präsentations for example, about Second Life, Xing and Podcasting.